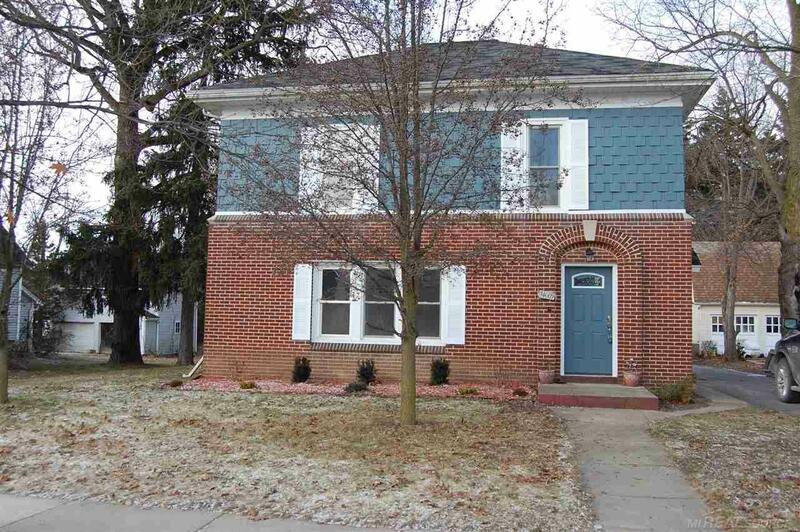 GORGEOUS, remodeled (&apos;18), 4 bedroom Colonial, located in the heart of Downtown Armada! New fixtures, original wood restored and refinished throughout, new boiler, are just a few of the countless updates this home has to offer. Enter the home to the spacious family room with large windows that flood the room with natural light. Proceeding to the kitchen, you will notice, the beautiful new cabinetry, granite countertops, brand new SS appliances, and tile floor, with entry to the open dining area, perfect spot for entertaining guests! Finishing off the main level, is immaculate half bath with granite countertops and tin ceiling and master bedroom with WIC. Heading to the upper level, you will find 3 additional bedrooms, and full bathroom with entry to the laundry room with available washer and dryer hook up. HUGE backyard complimented with a large deck, shed, and 2 car garage. Make this home yours before it&apos;s too late!